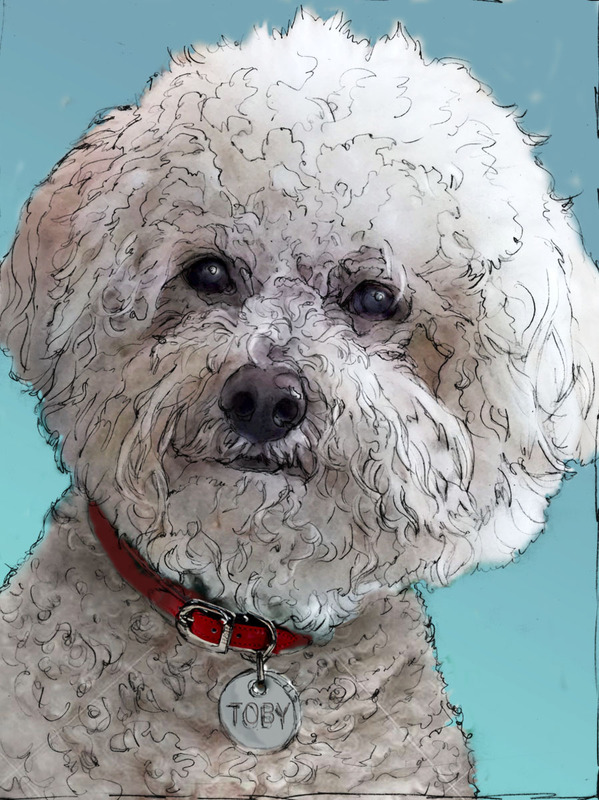 Recently I was asked to do a painting of Toby, a little Bichon Frise who had passed away. I asked for a description of what made him special to his humans. I find that knowing this helps me in the painting process. I started with preparing the sketch. We had a limited amount of photos to work with as is often the case in a memorial painting but there was one good one to paint from–although it was a little soft. Note to self (and to all of you too): take more photos of your furball now.